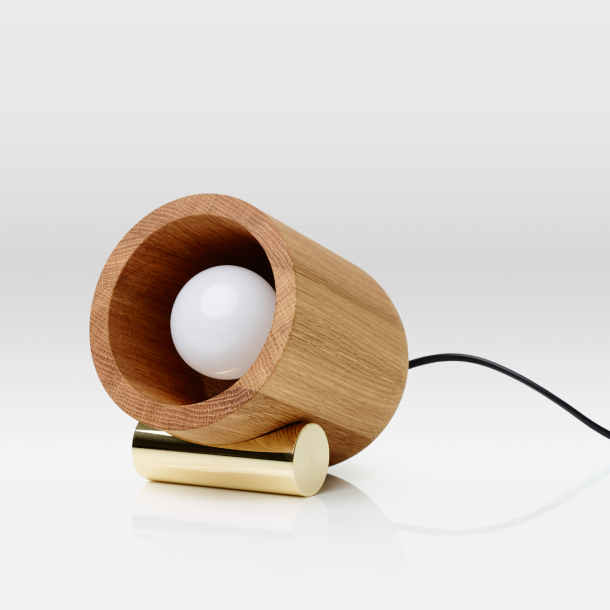 The curved American oak body of the Co-Depend Lamp rests on a solid brass bar to create a thoughtfully refined design. This balanced composition highlights the lamps sleek symmetry of form in a modest and beautiful way. Simple with clean lines, the Co-Depend Lamp is impeccably understated and a great addition to any space.